You are here: Home ∼ Do You Feel Broken, Tired, or Discouraged? Do you feel like you could have written that passage? It was actually written by St. Zelie Martin, the mother of St. Therese. Surprised? I was, too. 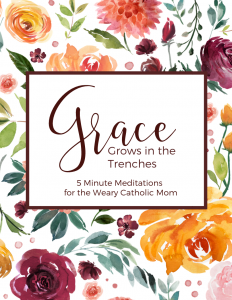 This is just one of the quotes in Ginny Kochis’ wonderful new book Grace Grows in the Trenches: 5 Minute Meditations for Weary Catholic Moms. This book is written for mothers who feel broken, weary, discouraged, and that God has given you way more than you can handle. This is for the days when you want to curl up in a ball or lock yourself in the bathroom and just give up. 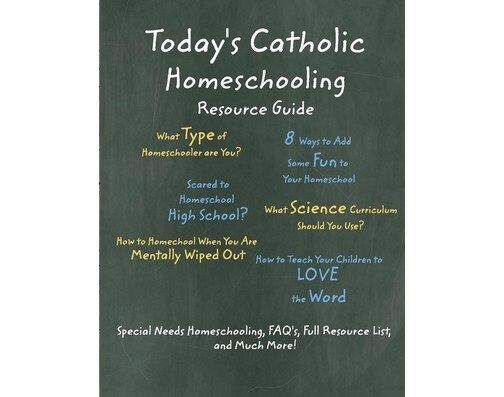 While written for all Catholic moms, not just homeschoolers, Kochis is a homeschooling mom and understands how hard a road it can be. 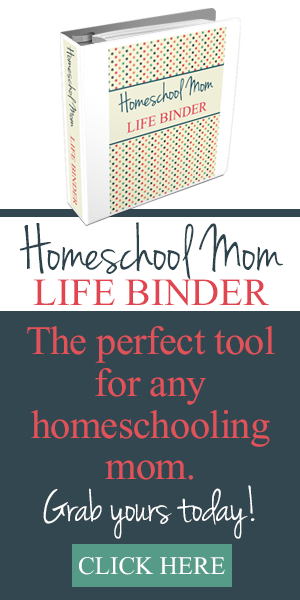 She offers Scriptural and saint quotes as well as questions for journaling. The pages are beautifully decorated, suitable for printing out and framing so that you can have visible inspiration in your home. Grace Grows in the Trenches is a lovely, much-needed book. Kochis knows the struggle and the discouragement is real. She offers a reason to hope based in the words of God and the saints.